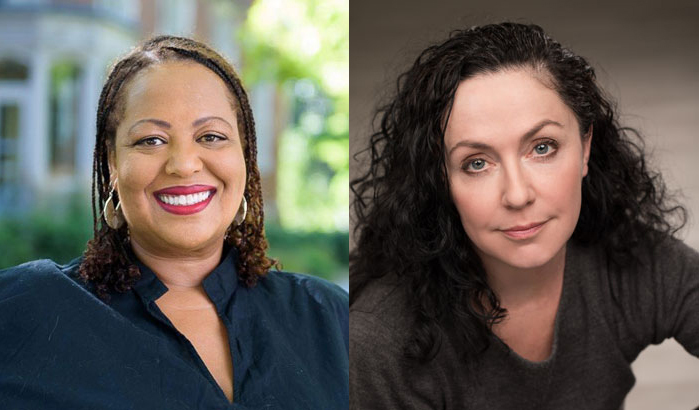 PORTLAND, ORE — The Regional Arts & Culture Council (RACC) is pleased to announce its 2017 Fellows in Literature – Portland writers Samiya Bashir and Rene Denfeld. RACC’s fellowship program honors local artists of high merit. Recipients receive a cash award of $20,000 to sustain or enhance their creative process. Established in 1999, RACC’s Artists Fellowship Award remains one of the largest and most prestigious awards to individual artists in the Pacific Northwest, supporting exceptional artists who exemplify RACC’s mission of enriching the local community through arts and culture. RACC rotates the disciplines it honors each year—performing arts, visual arts, media arts, and literature. To be eligible for consideration, professional artists must have worked in their field for at least 10 years and have lived in the Portland tri-county area for five years. Applications, which include three narrative questions, artist resume, two letters of recommendation, and examples of the artist’s work, are reviewed through a panel process of community representatives from the discipline being honored. This year’s panelists in the literature category included Mo Daviau, Merridawn Duckler, Christopher Luna, Orit Ofri, and Olivia Olivia. Bashir and Denfeld join a prestigious group of local artists who have been named RACC Fellows in the past, including Mary Oslund, Obo Addy, Christine Bourdette, Terry Toedtemeier, Jim Blashfield, Michele Glazer, Tomas Svoboda, Keith Scales, Judy Cooke, Michael Brophy, Chel White, Craig Lesley, Thara Memory, Henk Pander, Joanna Priestley, Kim Stafford, Robin Lane, Eric Stotik, Lawrence Johnson, Sallie Tisdale, Linda Austin, Anita Menon, David Eckard, Ellen Lesperance, Vanessa Renwick, and Brian Lindstrom. A gallery of past RACC fellows are listed at www.racc.org/grants/individual-artist-fellowships. Samiya Bashir is a collaborative artist who brings her poetry off the written page in multi-disciplinary projects that involve video art, sculpture, installation, and performance. She has presented her work nationally and internationally and has received many awards including the 2011 Aquarius Press Legacy Award recognizing women writers of color who actively provide creative opportunities for other writers. The RACC Fellowship panel recognized the generosity in her work; both in how her writing speaks to her specific experience as a queer, first-generation Somali-American poet/maker, yet is accessible to wide audiences, and in how her readings and performances open the space to welcome others artists. Her book Field Theories was published this year by Nightboat Books. Samiya has two projects she is currently working on, a multi-media poetry field guide on the creation of the East African diaspora and an unconventional memoir that will lace episodes of her own history with historical moments from 19th century New York City Draft Riots and the 21st century run up to the Gulf War. Find out more at www.samiyabashir.com. Rene Denfeld is a novelist whose social justice work is at the heart of all her writing. She has written nonfiction books, essays, and her second novel The Child Finder was released this September by Harper. She grew up in North Portland, where she makes her home today with her three children. Her work tells the stories of the marginalized and dispossessed, examining issues critical to our times, including poverty and child abuse, while bringing hope to the most challenging situations. The Fellowship panel recognized that Rene is a phenomenal writer that produces visceral, gorgeous work with a flow and fluency which easily takes you to the worlds she is describing. Rene would use the Fellowship funds to support more time writing and finishing her third novel, which will go deeper into the criminal justice system and how our society fails to protect children. Find out more at www.renedenfeld.com.